Don't give up just because you don't see immediate results. 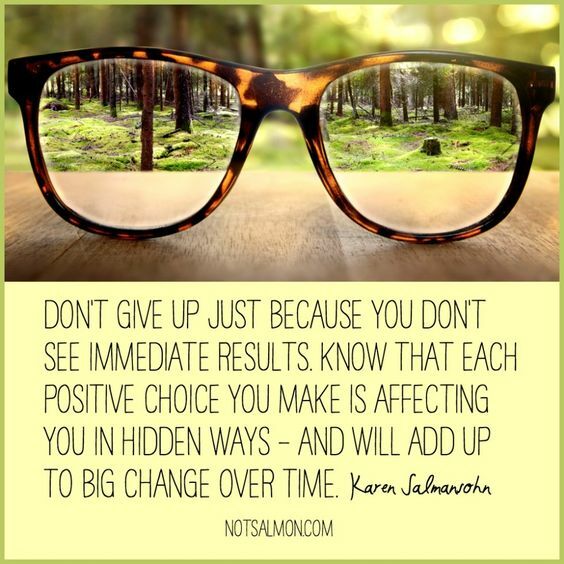 Know that each positive choice you make is affecting you in hidden ways - and will add up to big change over time. assalamualaikum mia...yes don't give up..